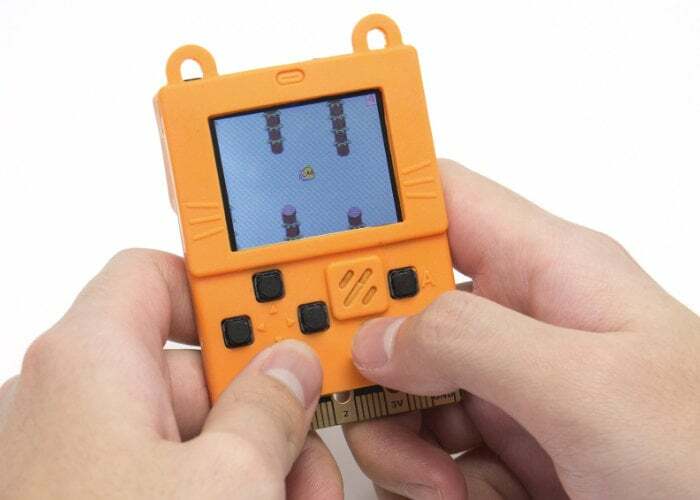 Kittenbot Meowbit is a tiny pocket games console equipped with a 1.8 inch display and powered by a 32-bit ARM Cortex M4 core processor. 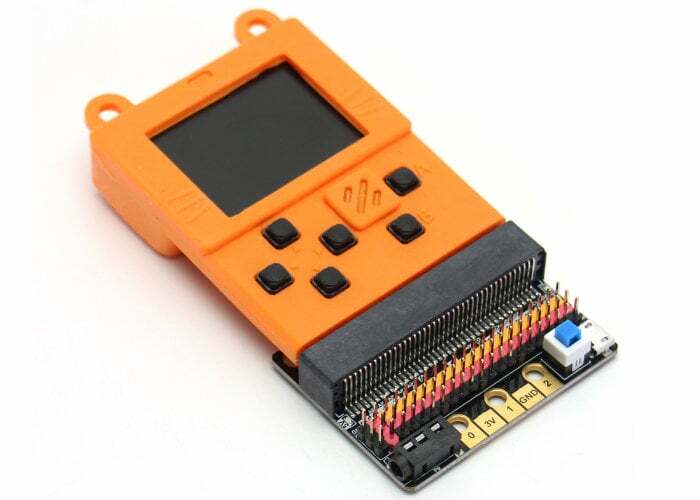 Priced at $39.90 the retro game computer can also be programmed and has six programmable buttons a buzzer, built-in light sensor, temperature sensor and SD card slot for external storage. 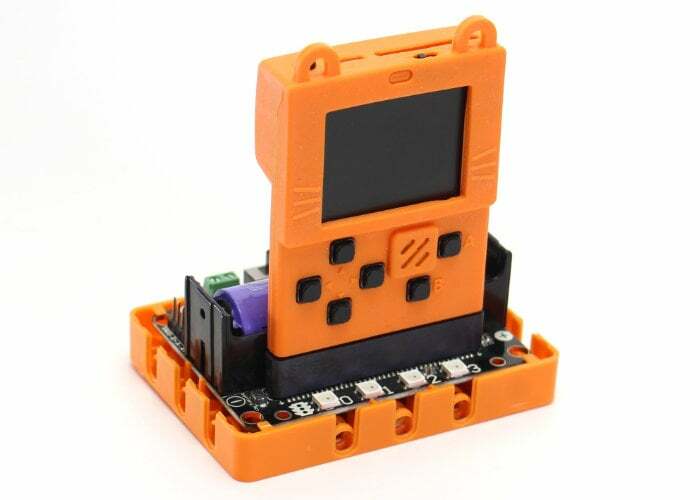 At the bottom of the console is a handy edge connector that will fit most micro:bit expansion boards. If you are considering yielding your own robot its creators recommend the Robot:bit for Mewobit.